The Epiphone PRO-1 Plus Dreadnought Western Guitar convinces with a powerful and full sound as well as very easy playability with a great price / performance ratio. The Epiphone PRO-1 Plus Western guitar with full bass, clear mid-range and brilliant highs resonates with a solid spruce top, mahogany body and back. In addition, a flat "C" neck profile with a rosewood fretboard ensures a soft and comfortable feel. The chrome-plated Epiphone "Deluxe" tuners deliver stability and precision. 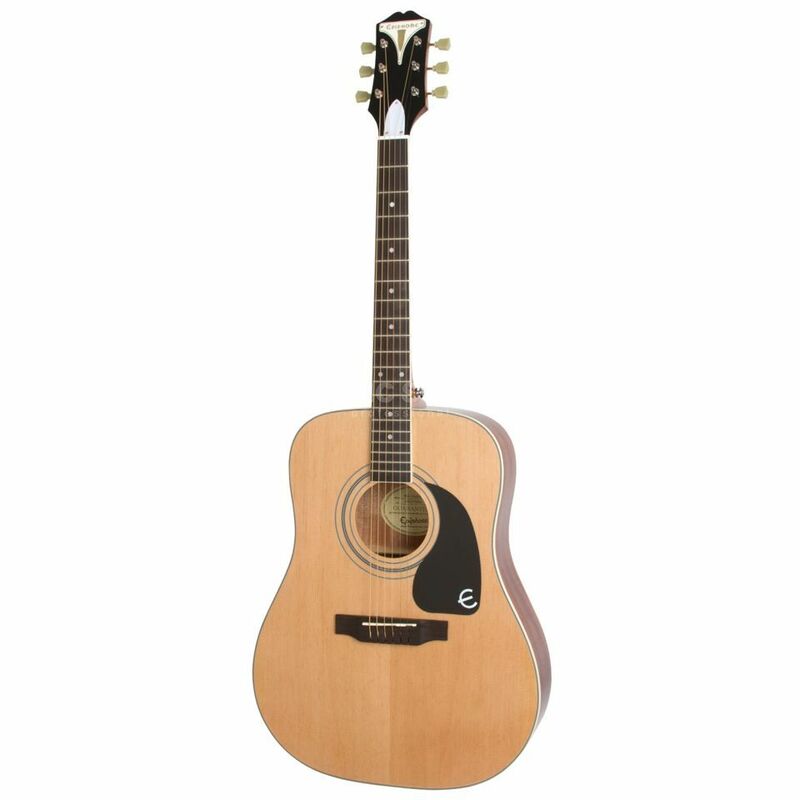 With the Dreadnought body, Epiphone PRO-1 Plus is suited for strumming with an expressive vocal accompaniment. All in all, a fully resonant dreadnought with a very fair price.